WEDNESDAY, Oct. 21, 2015 (HealthDay News) -- Ultrasound waves could be used to rapidly deliver drugs to the digestive system, new animal research suggests. 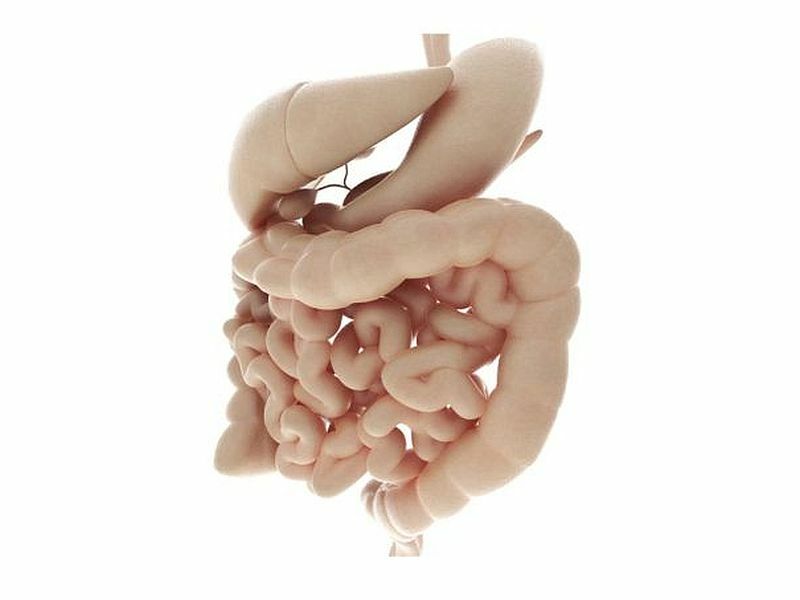 This new approach to drug delivery might potentially benefit people with inflammatory bowel disease (IBD), such as Crohn's disease and ulcerative colitis. However, this new method of drug delivery hasn't yet been tested in humans. "With additional research, our technology could prove invaluable in both clinical and research settings, enabling improved therapies and expansion of research techniques applied to the [gastrointestinal] tract," said co-senior study author Daniel Blankschtein, a professor of chemical engineering at Massachusetts Institute of Technology (MIT) in Cambridge. "[Our study] demonstrates for the first time the active administration of drugs, including biologics, through the GI tract," he said in an MIT news release. The ultrasound-enhanced drug delivery method was first tried in a pig gastrointestinal tract. The method significantly improved absorption of both insulin (a large protein), and mesalamine (a smaller-molecule drug), which is often used to treat colitis, the researchers said. Follow-up tests showed that colitis symptoms in mice could be reduced by delivering mesalamine followed by one second of ultrasound every day for two weeks. There was no improvement when the drug was delivered without ultrasound. The researchers also found that ultrasound-enhanced delivery of insulin lowered blood sugar levels in pigs, the study showed. Findings were published Oct. 21 in the journal Science Translational Medicine. Currently, drugs to treat IBD are administered as an enema. The drugs must then remain in the colon for hours while the drug is absorbed. However, this can be difficult for patients suffering from diarrhea and incontinence. The drug would still need to be administered as an enema, but with the use of ultrasound, the hope is that the drug would be absorbed faster, the researchers suggested. Study co-senior author Dr. Giovanni Traverso, a research affiliate at the Koch Institute for Integrative Cancer Research at MIT, and a gastroenterologist at Massachusetts General Hospital, said in the news release, "We're not changing how you administer the drug. What we are changing is the amount of time that the formulation needs to be there, because we're accelerating how the drug enters the tissue." This technique may also offer a new way of administering drugs for colon cancer or infections of the gastrointestinal tract, the researchers said. What is inflammatory bowel disease? IBD can include Crohn's disease and ulcerative colitis. Learn more about testing, treatments, and the home care needed to manage IBD.